Trance-inducing music from Sudanese mystic healing ceremonies, hip-quaking Nubian wedding melodies, ritualistic tales of an Arabian Dracula and songs recounting the mysterious disappearance of sardine rations in the Egyptian army – all played on vintage 190-year-old rango xylophone with spirit manifesting gourd resonators, simsimiyya & tanbura lyres retrofitted with electric pickups, and shakers made from recycled aerosol cans, performed by the Cairo-based RANGO collective. Sudanese music migrated to Egypt as the by-product of two waves of mass immigration following Mohammed Ali’s conquest of Sudan in 1820. The Egyptian ruler decreed that Sudan pay a tax in the form of slave workers to serve in the Egyptian army and musicians amongst the reluctant recruits bought folk melodies and instruments from Sudan to Egypt, creating a new repertoire of songs in exile which told of their longing to return to their homelands along with humorous marching refrains which helped pass the long hours of military service. Later, during the 1860s the growing market for Egyptian cotton led to a second influx of workers and the slave communities sought solace from the harsh realities of their everyday lives through the music of the outlawed Zar ritual, a healing communion with unseen entities which was thought to cleanse the soul and relieve suffering. Musicians and Zar practitioners alike believed invisible spirits and Djinn (Genies) could manifest through the music performed at the Zar, and as such the musical instruments associated with these rituals were revered for their magical ability to transcend different realms and dimensions. It was thought that Sudanese spirits could cross the threshold into this world through the huge gourd resonators which hung under the wooden keys of a Sudanese xylophone called the rango and from the vibrations produced by the plucking of the strings on a ritual lyre called tanbura. Following the abolition of the slave trade in Egypt towards the end of the 19th century, Diaspora communities from Sudan, Ethiopia and other African nations congregated in the Egyptian cities of Cairo, Ismailia and Alexandra. Zar chants from the former cotton workers, Sudanese folk melodies from the conscripts and popular Nubian songs evolved into a new form of dance music heard at Sudanese wedding celebrations and other social events, performed on rango and tanbura and accompanied by ritual percussionists and dancers. While this fusion of sacred and secular music was well received in the Sudanese communities, there was much widespread concern about Zar in wider Egyptian society. 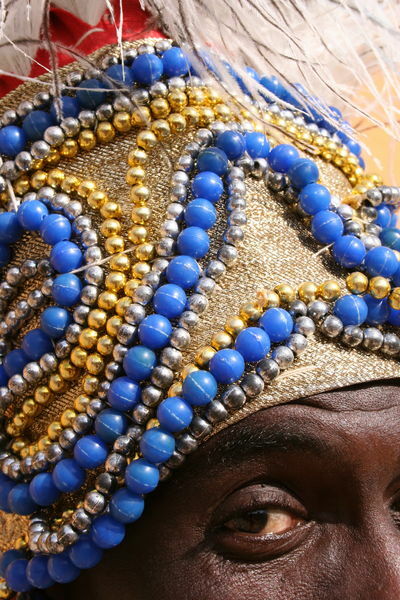 Sudanese musicians held a complex belief system that had evolved over several centuries combining elements of shamanic-type practices along with recognition of Muslim prophets and Christian spirits – ultimately worshiping a trinity of Gods: Yawra Bey, the king of the Muslim Spirits, the child spirit Lady Racosha and Red Djinn, leader of the Christian spirit world in Sudan. While the code of the Zar master, or sanger, forbad sensitive ritual melodies being performed at public celebrations, unfounded murmurings and whispers in Egypt in the 1940s and 1950s about the music’s role in the enchantment of husbands, lovers and black magic ceremonies (fuelled by an unfavourable portrayal of Zar musicians in Egyptian cinema) drove it’s practitioners underground - fearing persecution from a society that did not understand the complexities of Sudanese mysticism. Rango-driven wedding celebrations continued to be performed widely until the 1960s, until this strand of Sudanese music faced a separate threat to the religious opposition towards Zar. The rango instrument was made with a special type of gourd resonator fashioned from a Sudanese vegetable not found in Egypt and as such the only rangos in circulation were fragile, vintage instruments from Sudan. Gradually, the old instruments began to break, largely due to the relentless pummelling they were subjected to during frenzied performances at weddings. Musicians in Ismailia experimented with making a new instrument called kazan using recycled tuna cans and wooden boxes as resonators but found the younger generation of Sudanese musicians were uninterested in playing the new invention. With the passing of many old masters in the 1970s both the knowledge to construct instruments and the undocumented repertoire of Rango songs in Egypt were lost to history. Coupled with the popularity of guitars, accordions and the growing dominance of Arabian pop music, the rango fell from favour, it’s magical properties forgotten, and by the late 1970s it become all but extinct in Egypt. It was not until the production of a documentary on this long-lost music for Nile TV in the 1990s, that the last surviving player of the rango, the enigmatic Hassan Bergamon was rediscovered living in Cairo. During filming, the TV crew recorded the recollections of a legendary simsimiyya musician from Ismailia called Mohammed Waziery who spoke with great nostalgia and respect for the melodies performed on the rango, mentioning in passing the name of a young musician whom had once studied under a rango master from Ismailia. Until this point it was commonly assumed that the rango and her masters had been dead for nearly twenty years. Several researchers had tried in vain to uncover living practitioners and the hiding place of surviving instruments, but the rango remained lost. Inspired by Waziery’s passion for the music of the rango, folk music researcher Zakaria Ibrahim set about tracking down Hassan Bergamon. Bergamon had been a devotee of the rango since his early years, having skipped school to practice the rango and then perform at wedding parties through the night in his hometown of Ismailia. Although Hassan’s mother was a fourth generation Zar Sanger, his aptitude towards music led to some family tensions. Hassan’s uncle would apparently lock the door of the family house at night in a bid to stop his nephew’s obsession with the instrument, but Hassan would escape with his mother’s help by climbing out of a back window using a rope ladder and continued to play the instrument under the guidance of master rango musician Mohamed Almaz. When the residents of Ismailia were evacuated from the city in 1967, following the six-day war Arab/Israeli War, Hassan was relocated to Cairo were he continued to play rango in a group led by Baba Abas Mastora but as interest in the instrument declined Hassan retired from performing rango to concentrate on playing percussion and singing in Zar ceremonies. Following the completion of the TV documentary Hassan began to assemble a new band, supported by Zakaria’s El Mastaba Centre for Egyptian folk music (home to Port Said’s El Tanbura and Bedouin Jerry Can Band from El Arish). Incredibly, after a long quest in the Zar communities of Cairo and Alexandria, Hassan and Zakaria managed to locate and secure two rango xylophones (complete with their original vintage gourd resonators) which were entrusted to the collections of the Mastaba centre by the families of former masters who had kept the instruments following the passing of the old musicians back in the 1970s. 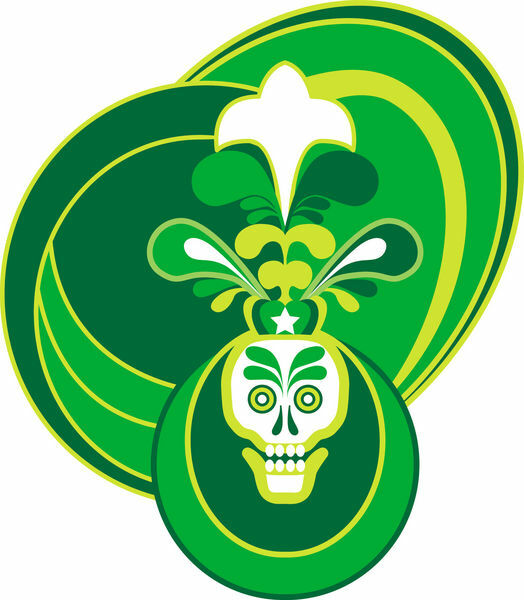 With this vital musical link to the past re-established the new band began to take shape, comprising veteran drummers and Zar sangers, along with a floating collective of singers and ritual dancers wearing mangor belts made from goat horns & playing shakers fashioned from empty insect replant cans filled with shells. Hassan’s Rango ensemble made their stage debut in Egypt in 2001 and have since appeared at prestigious venues including The Great Library in Alexandria and The Palace of Prince Taz in Cairo. In the autumn of 2009 the collective made a triumphant month-long tour of the United Kingdom, which included a sell-out show at the Barbican’s Transcender Festival. Bride of the Zar is their debut album. "You could rightfully expect Hassan Bergamon's shoulders to buckle with the substantial weight of responsibility. 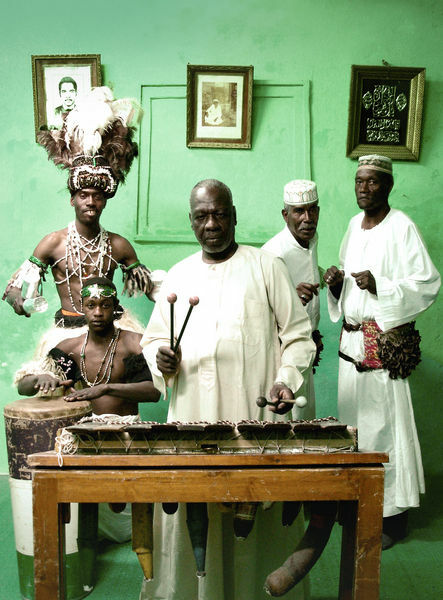 He's the last living exponent of rango, the trance-inducing music of mystical, soul-cleansing ceremonies that have their origin - as does Hassan - in Sudan. Originally the music of 19th-century Sudanese slaves transplanted to Egypt, the music survived after slavery's abolition, although finally fell victim to religious opposition 40-odd years ago. As rango's sole surviving practitioner, Hassan is the owner of a battle-worn, 190-year-old balafon, also called a rango ¬- it's one of only three left in existence.